Modern contemporary Black styling . 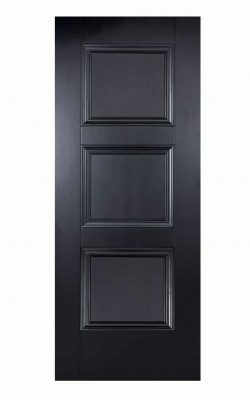 Three bold central panels, and bold mouldings. 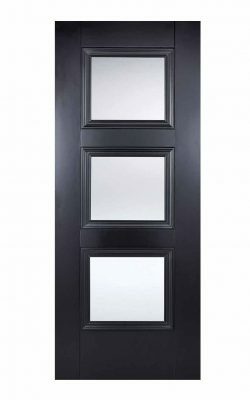 Available as a Fire Door (44mm) version and as a Vision Panel glazed variant too. Black Amsterdam. 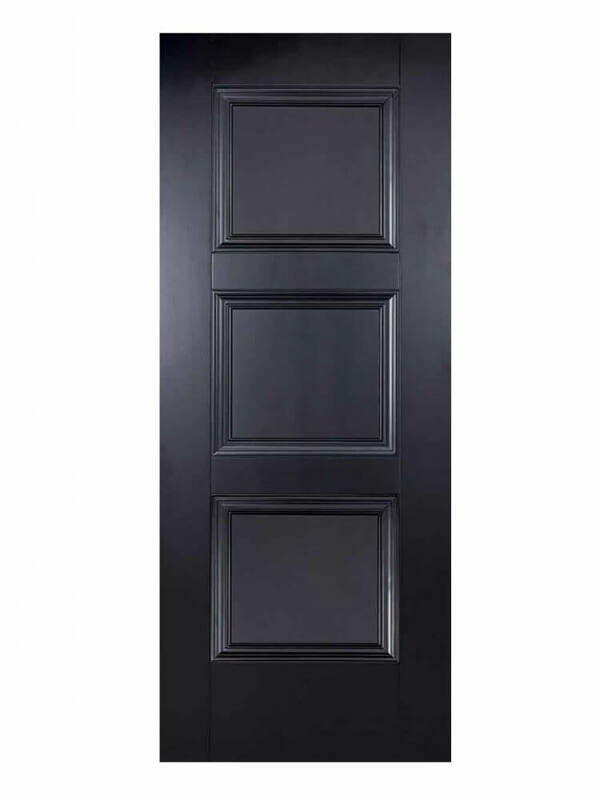 The three panels of this traditional door design are highlighted by a sophisticated primed black finish.